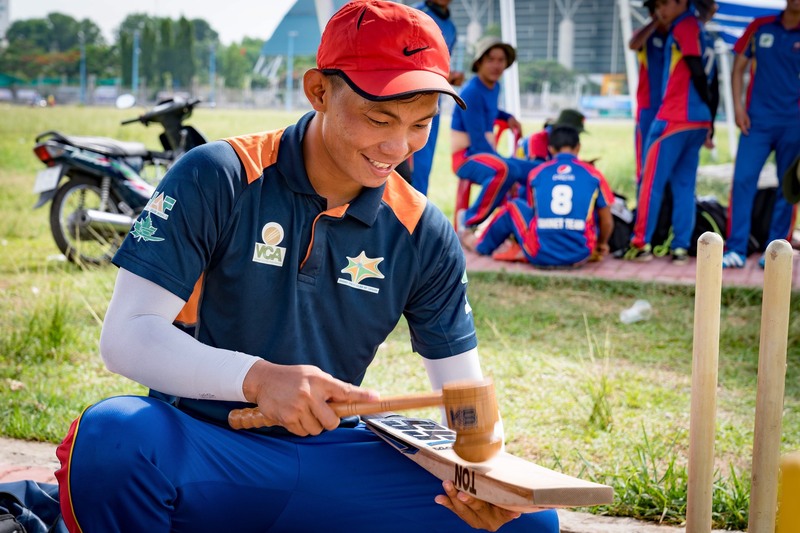 Vietnam is poised to take a team of amateur baseballers to compete at this year’s Southeast Asian Games... in cricket! 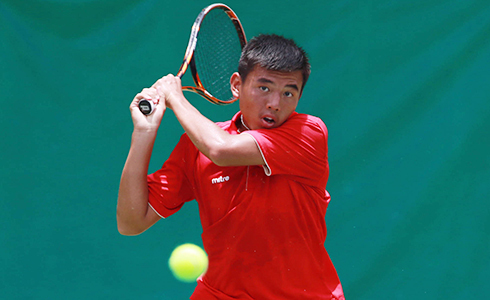 Le Hoang Dang is on the verge of a unique sporting double. This August, the baby-faced 25-year-old is set to become a dual sporting international. All things going to plan, he’ll join names like Steve Smith, Eoin Morgan and Virat Kohli as the captain of his country’s cricket team. It’s lofty company, but he’ll have one over these famous names in sport, and he won't be alone. 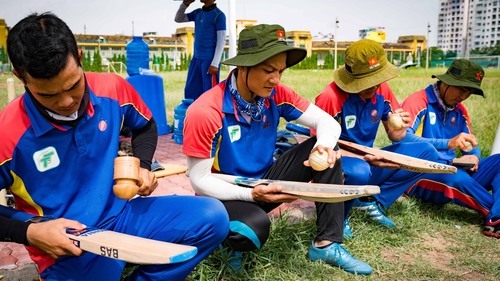 In 2011, Dang, a personal trainer from Tra Vinh, and Ngo Duc Thuy, a 25-year-old PE teacher from Binh Thuan, were teammates on Vietnam’s first ever baseball team. Thuy was captain, and they traveled to Indonesia for the biennial SEA Games where they finished fourth out of five. Fast forward to today, and they are amongst a squad of 20 young men who have been training five days a week on an old horse racing track in District 11 in the hope of being selected to travel to a different foreign country to play a sport they’d barely heard of a year ago, cricket. “This is a strange game,” says Dang through a translator, sweating after another session in Saigon’s sweltering heat. On the evidence to hand, he’s right. 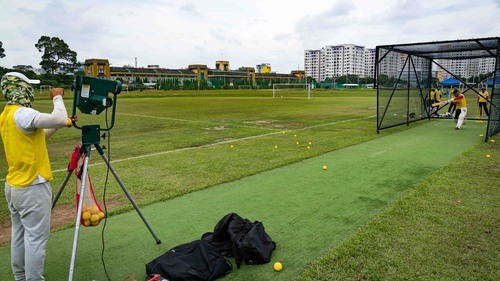 The old Phu Tho race track, now home to the Ho Chi Minh City Sports Center oval, has also become Vietnam’s new home of cricket since June last year. That’s when construction of a new ground was completed, and the country’s first representative team really came to life. “We are baseball players, but we are proud to represent our country. Our aim in Malaysia is to do our best in every match. 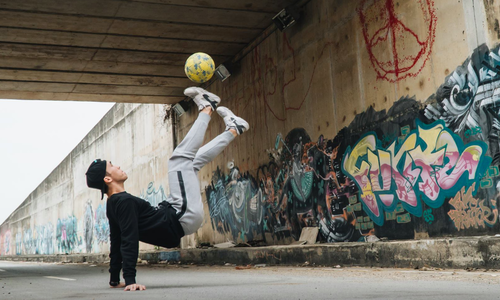 We want to connect with the international community through this sport,” says Dang. To make this unlikely story a possibility though, a few things have had to happen. 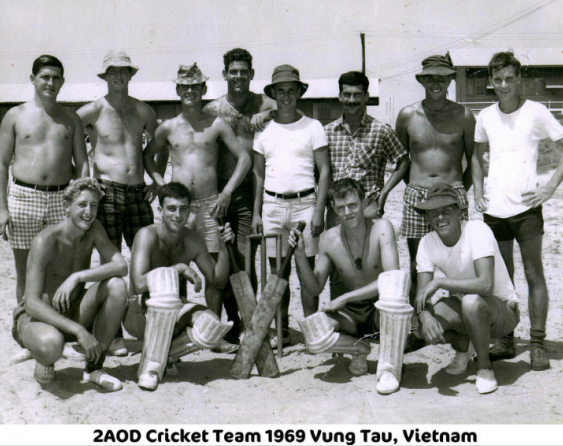 Never able to get a foothold here, despite an avid following around the world, the earliest evidence of cricket in this country are photographs of Australian troops playing on a cement wicket built by local women in Vung Tau in 1969. Once foreigners started landing here again, clubs in Hanoi and Ho Chi Minh City formed and a league eventually sprung up in Saigon, but the game remained the almost exclusive domain of the country’s growing band of expats. 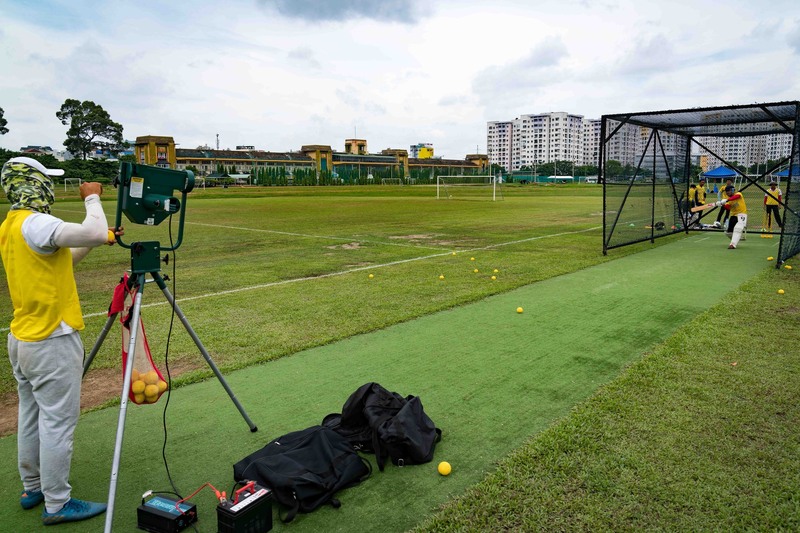 However, when Malaysia confirmed two years ago that cricket would be contested at the regions biggest sporting event in 2017 - the SEA Games - and the Vietnam Cricket Association’s (VCA) major sponsor, Suntory Pepsi, said it would no longer support a wholly-expat league here unless a commitment was made to develop the sport locally, the VCA leapt into action. It created its "Road Map for Cricket in Vietnam," which it presented to the Department of Sports and Culture at the end of 2015. It all meant that cricket got a permanent base, Suntory stayed on board as a sponsor, and a commitment was made to form a side with the aim of representing Vietnam at the next two SEA Games and next year’s Asian Games in Indonesia. To attract players a call went out to several of the city’s local baseball clubs. These included the Ho Chi Minh City University of Sport team, where Dang, vice captain Pham Huy Phong and Thuy were all players. And train they do. Since January the squad has moved from training once a week to a five-day schedule, and are paid a wage of VND5 million for their efforts. It’s probably less than what Thuy’s favorite player West Indian master blaster Chris Gayle makes per run, but it’s a start. 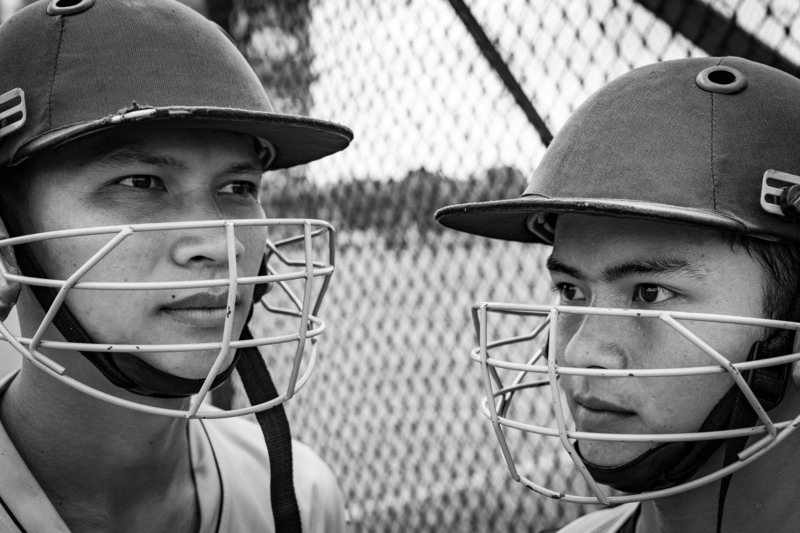 Prior to their elevation as national representatives, the player’s exposure to cricket had been limited to curious glances beyond the baseball diamond at RMIT University. 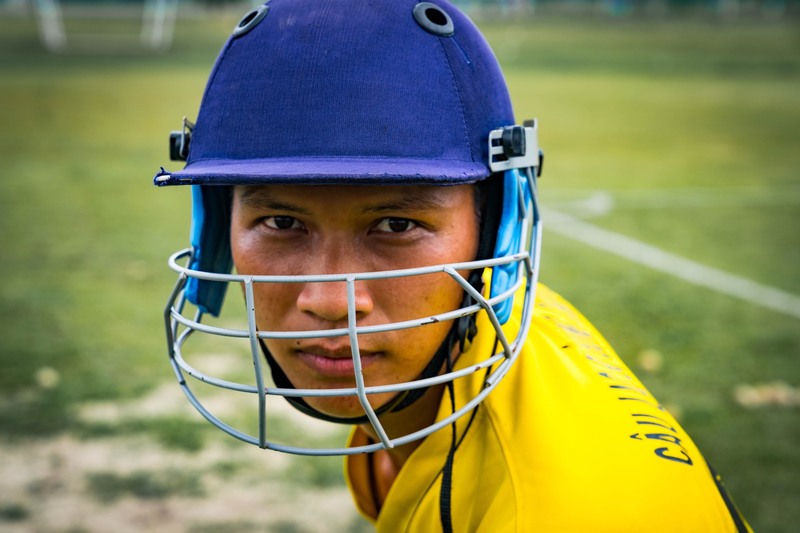 It’s from there that they witnessed this ‘strange game’ being played by Saigon’s multicultural expats, who form the Vietnam Cricket Association’s T20 league. 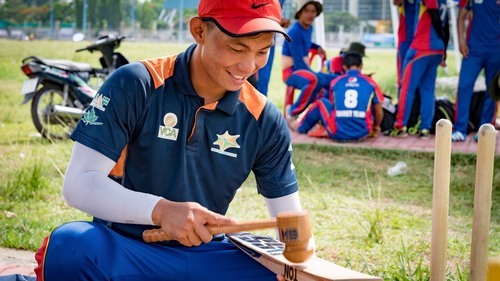 The league, and the VCA, led by President Angelo Pillay, has been around in Ho Chi Minh City for 12 years, providing an opportunity for cricket-starved foreigners to fulfill their Sunday league dreams. Unfortunately, during this time it’d be generous to suggest that inroads had been made into getting local Vietnamese involved. So far none have been formally registered with any of the league's teams. With the decision to go forward with a local team however, and the above milestones achieved, it meant that on the sidelines of this year’s VCA season, news got around of a team comprised entirely of locals, and several players offered their services to help out. Australian expat Michael ‘Mick’ Blinkhoff was one of them. He’d played cricket at home for 15 years, most of it at Valley Districts just outside of Brisbane, before arriving in Vietnam in early 2016. Spurred on by the death of his mother in Australia, he quit his financially secure job as a sales representative on the Sunshine Coast in Queensland, and decided that the life he was leading; comfortable, and centered around pushing himself to complete triathlons and other physical feats, wasn’t enough. He’d also traveled here previously and fallen in love with Thao, his now girlfriend with whom he lives. Born in Melbourne, raised in New Guinea and educated in Brisbane, Mick’s story is worthy of its own piece. He’s a prolific author, currently finishing off a book about destiny, a teacher, and like many who arrive here, never saw this part of his life happening. “I turned up to have a look at them in February and ended up knee-deep in teaching twenty guys how to play cricket,” he says. More than just their coach, Mick’s role has grown over the last four months to include English teacher, and three mornings of the week he conducts lessons in the offices to the side of the ground. 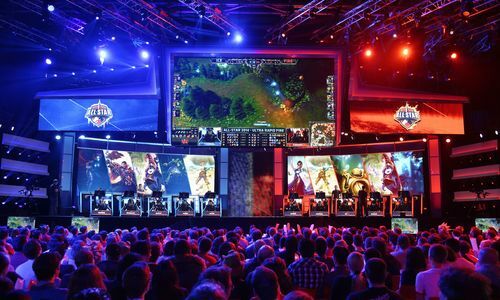 "In case they are asked about Vietnam by media or other players," he says. It’s a remarkable commitment, which along with passing on the technical skills of the game; converting pitchers into bowlers and sluggers into batters has been an intensive experience, but one that he’s enjoying. On his team’s prospects at the SEA Games - they are yet to play a competitive game, Mick remains realistic, but is hopeful that cricket can prosper here in the future. In any case he’d like to be part of it. Putting this all into perspective is difficult. 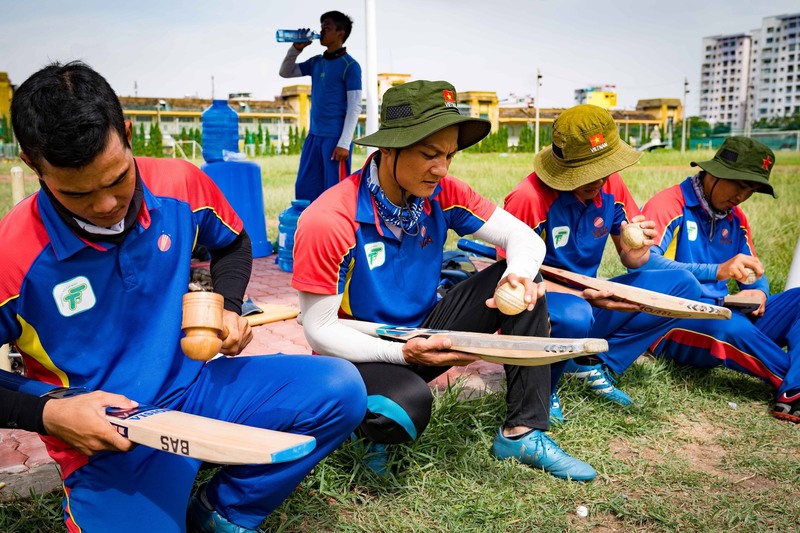 Twelve months ago, Vietnam’s first cricket team had never picked up a bat, held a ball or tried on a pair of cricket pads. Beyond the wide-eyes and infectious smiles of the players, there is the knowledge that versus the likes of Singapore and host nation Malaysia, even at this level of cricket, they are seriously up against it. Both have been playing regular international matches since as long ago as the 1970s, and recently competed in the World Cricket League’s Division 3 round-robin tournament in Uganda. Yes, Uganda, cricket’s tentacles go far. It’s a frank admission, and an accurate one. There are many variables in cricket, as there are in life, but what they lack in skill, the team is trying to make up for in enthusiasm, and commitment. 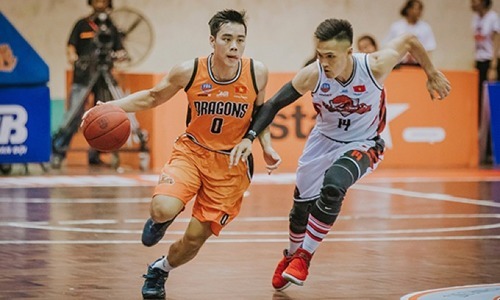 One member of the squad who typifies this is Nguyen Viet Lai who has been making a daily round-trip of 140km from his hometown in Binh Duong to be part of the team. It’s exactly the kind of effort they’re going to need for the game to have a future here in Vietnam. The SEA Games will commence in Kuala Lumpur on August 19 and run until August 30.